Alabama’s newest charter school will make its home in Sumter County in 2018, and the University of West Alabama is currently gauging parent and student interest ahead of the school’s opening. University Charter School, which was proposed and developed by UWA, was approved by the Alabama Public Charter Schools Commission (APCSC) earlier this year. University Charter School is the fourth charter school approved in the state since the Alabama School Choice and Student Opportunity Act passed in 2015, and opening grade structure and capacity will be determined with the approval of the charter contract currently being negotiated with the Commission. UCS plans to open its doors to students in August of 2018. So what exactly is a charter school? And how will a charter school benefit Sumter County? According to the Alabama Kid’s Count Data Book, there are more than 2,500 K-12 students in Sumter County, and of this number just more than 1,700 are currently associated with a Sumter County-based school. That means that more than 800 students who live in Sumter County are either enrolled in a school outside of the county, or they are not enrolled at all. University Charter School will give parents and their families an alternative to the existing school districts in and around Sumter County. In addition, Sumter County is currently dealing with a steadily declining population, loss of business and industry, lack of skilled employees, and an overall decline in youth well-being. University Charter School aims to address these issues by not only meeting the needs of the current population, but by offering educational opportunities that will draw people to the area. What are some other benefits of a charter school? For one, charter schools are tuition free. In addition, charter schools in Alabama are open to all Alabama residents and do not have any required criteria for admission. 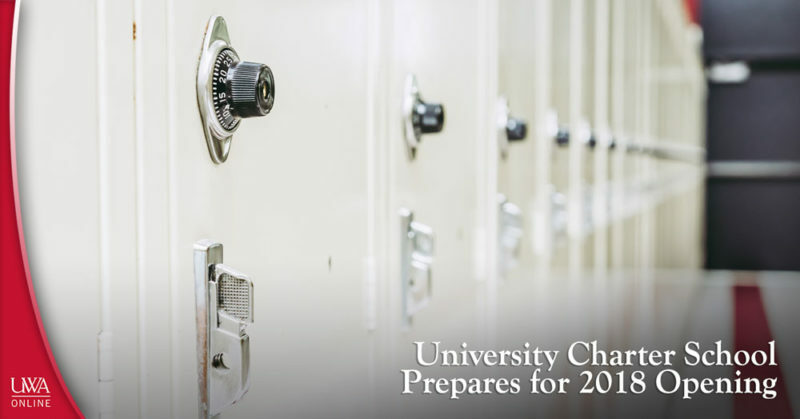 Enrollment to University Charter School will first be open to Sumter County residents, followed by an enrollment period for non-Sumter County Alabama residents. A lottery will be held in the event that enrollment exceeds the school’s capacity. Interested in learning more about University Charter School? Visit www.uwa.edu/charterschool for a full list of frequently asked questions and contact information for those interested in enrolling. Those interested in enrolling are asked to complete the following survey to help the school plan for its opening next year. What other advanced educational efforts are going on at UWA? Check out UWA Online Continuing Education e-Learning! Visit www.uwa.edu/ce. Posted on September 24, 2017 , updated on September 24, 2017 · This entry was posted in Charter School, UWA and tagged Alabama, charter school, University Charter School, west alabama. Bookmark the permalink. Glad to see this , I honestly believe it is the best thing for the community now only if the community will embrace the idea instead of abandoned the idea and give it the full support. I for one can’t wait to see the results in years to come. Good Luck to all involved. Thank you for your comment, Ashley. We’re also looking forward to seeing the benefits the University Charter School will bring to the students of Sumter County and the greater Black Belt region.